Eissa Muhamad, from Niger, has been stranded at the Bole International Airport in Addis Ababa, Ethiopia, for two months now. Photo by Eissa Muhamad, used with permission. Eissa Muhamad, from Niger, says he has been stranded in the transit section of Bole International Airport in Addis Ababa, Ethiopia, for more than two months, starting on November 6, 2018. Muhamad, 24, was deported from Israel where he lived for eight years as a migrant. I met Muhamad on December 12, 2018, at Bole International Airport while in transit in Addis Ababa. Muhamad tells me he has been deported twice from Israel in 2018. When he returned to Niger the first time, Muhamad’s Israeli travel documents were still valid, so he turned around and booked another flight back to Israel. 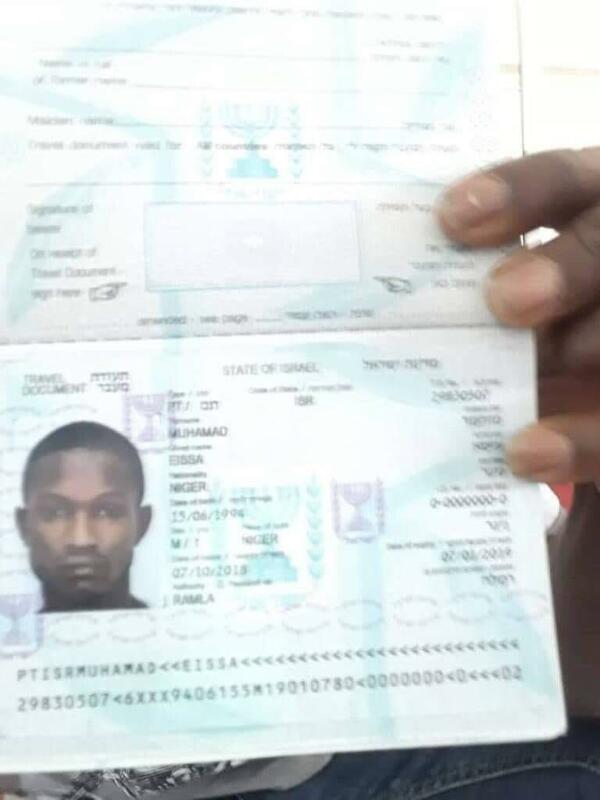 When he arrived in Israel, authorities confiscated his travel documents and deported him again back to Niger. When Muhamad returned to Niger the second time, authorities requested proof of citizenship but he failed to produce valid documents, either Israeli or Nigerien, to support his citizenship. 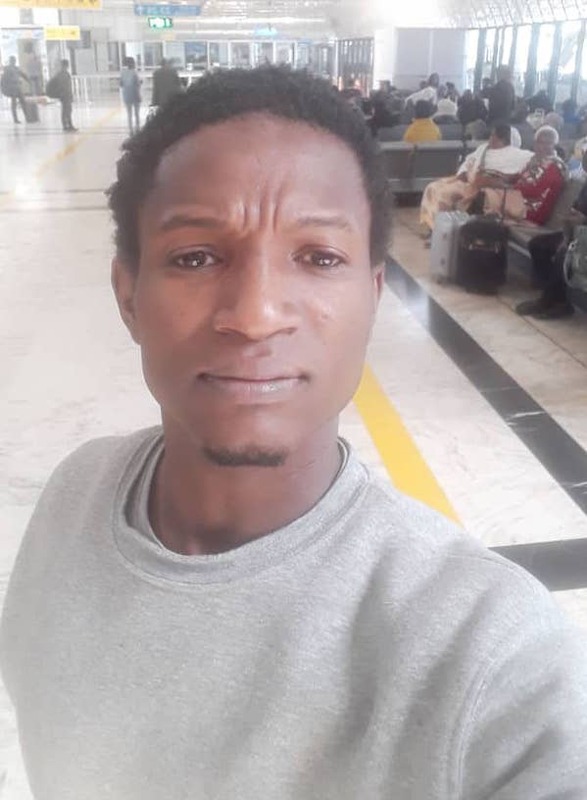 Muhamad remained in Nigerien custody for eight days before being deported back to Israel via Ethiopia on an Ethiopian Airlines flight. When he arrived at Bole International Airport in Ethiopia, Ethiopian authorities, in collaboration with the Israeli government, prevented him from boarding his connecting flight to Israel. They informed him that Israel was not willing to accept him, and since then, he has been stranded inside the airport, stuck between Niger and Israel. Muhamad has attempted to contact the Niger embassy in Addis Ababa, but because he was not able to provide valid documents to prove his Niger citizenship, Muhamad says they were unable to assist him. Eissa Muhamad’s Israeli travel documents were valid for a time, but they are no longer valid and he is stuck between nations as a migrant. The validity of these documents could not be verified. As of 2018, Israel currently has 34,000 African migrants who undertook perilous journeys to Israel in search of a better life. But Israel claims many are economic migrants who have put a strain on the economy. Opting to stay meant jail time and significantly fewer resettlement options. Prime Minister Benjamin Netanyahu and the right-wing Likud party remain focused on targeting those deemed “infiltrators.” Israel Democracy Institute study says 66 percent of Israelis support government policies to deport African immigrants. Muhamad claims that he was legally living in Israel and worked in a factory, and told me the government took away his residency status and threw him out of the country. Ethiopian authorities have not arrested Muhamad and have provided meals for him while staying at the airport. Technically, Ethiopia is a signatory to the 1951 Convention relating to the Status of Refugees and the 1967 Protocol as well as the 1969 Organization of African Unity (OAU) Convention Governing the Specific Aspects of Refugee Problems in Africa, and nearly all refugees entering Ethiopia are granted asylum on a prima facie basis, but Muhamad told me he is not willing to apply for asylum in Ethiopia.